The POPP Mold Detector protects your home against mold formation. 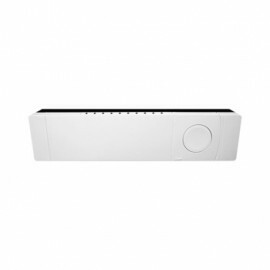 The detector has a unique and elegant design which fits in every Smart Home. 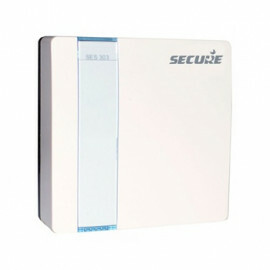 Because of his slim design the Mold Detector can be placed at any position, which needs to be supervised. This device measures the three air quality parameters temperature, humidity and dew point an reports them to a central controller. 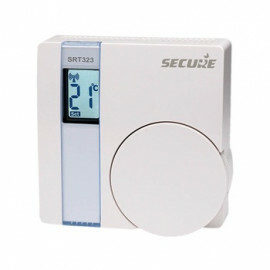 Beside this, the device can directly control groups of other Z-Wave devices on over- and undershooting a set temperature and/or humidity parameter. This can be used to establish control loops for temperature and humidity. The device wakes up every 4 minutes to measure the values and it will send unsolicited reports when values change. Additionally, the device will report all values on request. The mold detector is actively monitoring the danger of mold in a room based on the temperature and humidity and will issue alarm warnings when critical air conditions met. Wireless Alarm and red and a green blinking LED will indicate a mold condition. 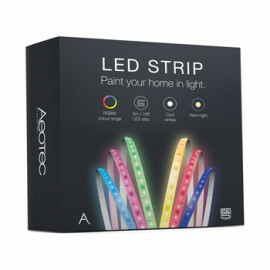 This local LED warning function is also available when the device is not included in any Z-Wave network and works stand alone.